Denver Town Car Service gives you the opportunity to travel with the most prestigious and trusted transportation company in Denver: 365 Limo Denver. The town car services operate throughout the city and no matter where you are in Denver or where you want to travel to; we will be there to take you no matter what. Denver Town Car Service is widely used by the residents of Denver. If it is a big occasion or an important event in their lives, they take a posh ride from us and travel in it with style. The possible events that people usually take our services for include homecomings, wedding and parties. Now they are happy times in your lives, if you take services from us, we guarantee that you will be happier while travelling with us. Our fleet is among the best that anyone has to offer in the city and hence no matter what event it is, we would have the perfect ride to match that event. 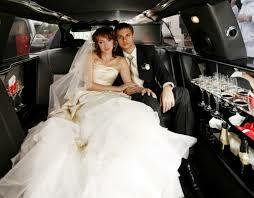 For weddings and prom nights, people usually prefer travelling in Limos. If you want to travel in a Limo on this occasion, you can take one from us which comes with the best services along with the best Limo. Our town car services are also available for those of you who are planning a sightseeing tour through Denver. If you are planning one with a friend or a loved one, we can offer you Luxury Sedans in which you both can go to places very comfortable and in luxury. However, if you are planning one with your family or a group of friends then we have the ride solutions for you too. Our fleet comprises of SUVs and Escalades and a good number of people can sit and travel in it very easily and in comfort, enjoying the sightseeing tour without any kind of worries. Our chauffeurs also know all the places of Denver very well so no matter where you want to go to, they will take you there with much ease. If you are into the corporate sector and you are a business official, then our services are available for you as well. For those of you flying to Denver for a meeting from another state or a different country, we will pick you up from the airport and take you to your next destination if you make a reservation with Denver Airport Town Car Service before you fly to the city. 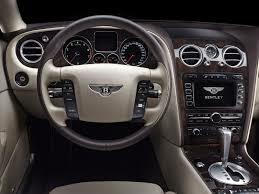 Our chauffeurs take drug tests are driving tests often so that your safety is ensured when you travel with us. Denver Downtown Town Car Service will be there whenever you call us to take you Downtown as well. When we say that we operate all through the city, we mean it. There is no place that you would want to go to in the city and we would not take you there. Hence, go to Downtown Denver with us as well.